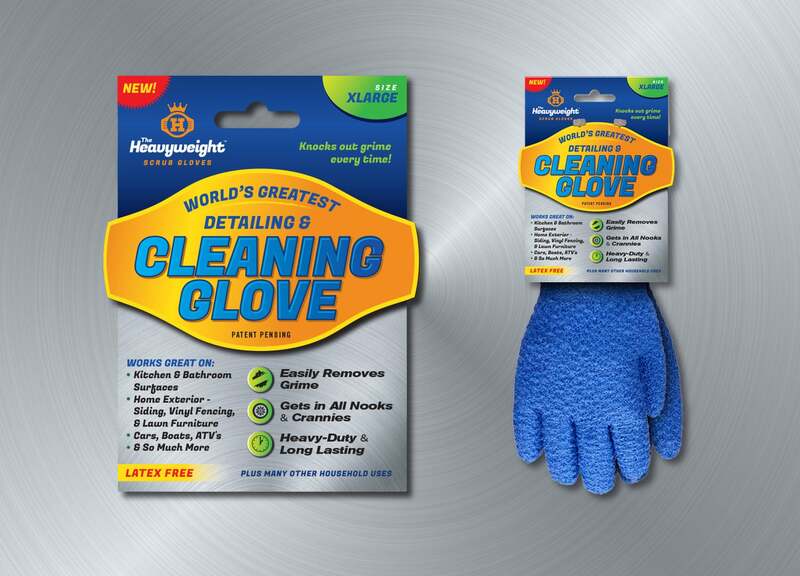 The Heavyweight Scrub Gloves is a revolutionary new cleaning product that is about to disrupt the cleaning industry. 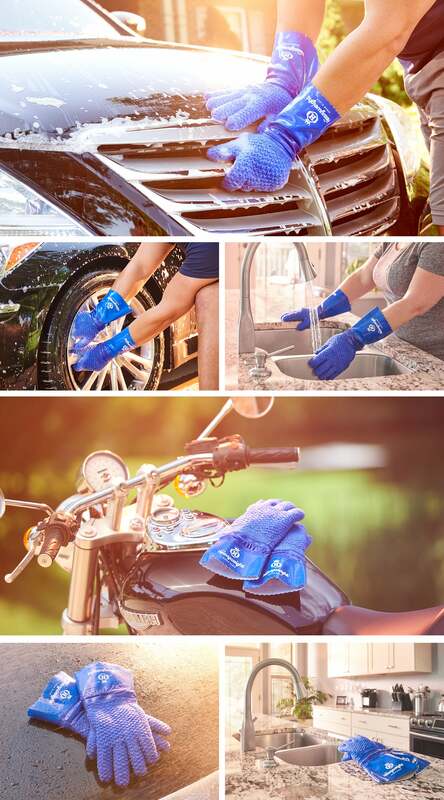 These scrub gloves, using a patent pending design, allow users to control the range of abrasiveness – the harder you press, the more abrasive it becomes. When used properly, it will easily remove bugs/dirt/grime from surfaces without scratching, allowing you to effectively clean almost anything. It gets in all the nooks and crannies your hand can fit, doesn’t require the use of chemicals, and it long lasting. Heavyweight came to Visual Lure early on in their development process and we’ve had the pleasure of helping them with their logo & branding, brand messaging & strategy, packaging, and website. Below are a couple pages from the brand and graphic standards guide. 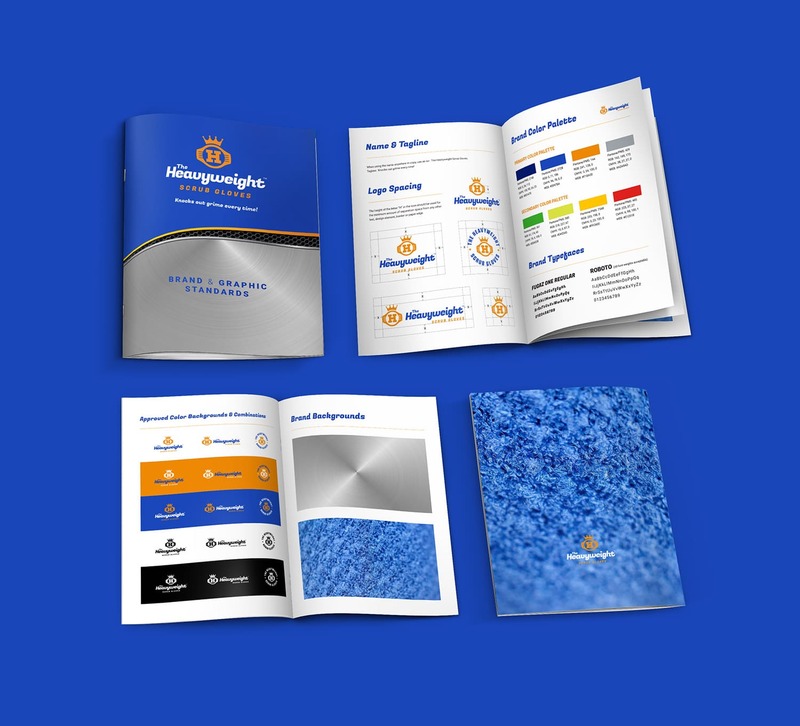 It provides guidelines on logo usage, brand color palette, brand typefaces, backgrounds and more – to ensure a seamless and consistent use of design elements. Below is one of the unused proposed package design options. 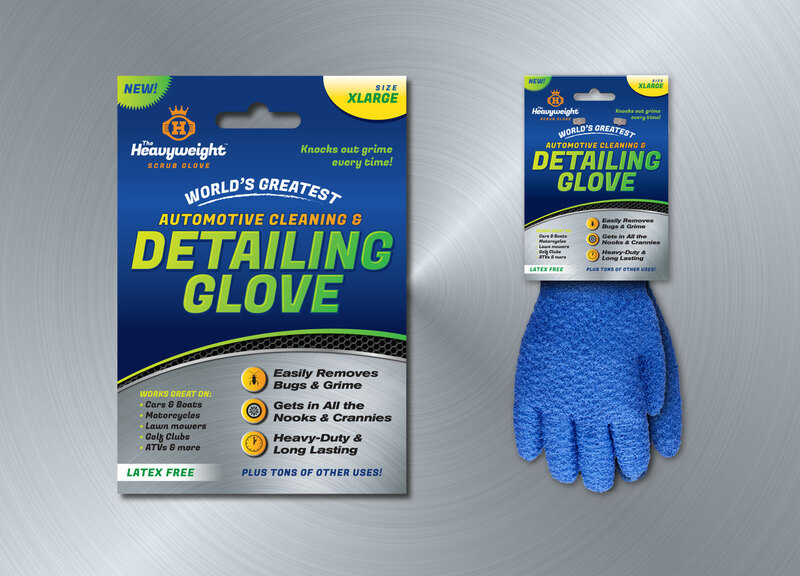 It was designed to focus exclusively on automotive/motor vehicle detailing, as that is one of the best uses of the gloves. Professional photography and videography provided by Chris Malacarne. Below are a handful of the deliverables he supplied. Below is the new website we helped launch using the Unicon WordPress theme. 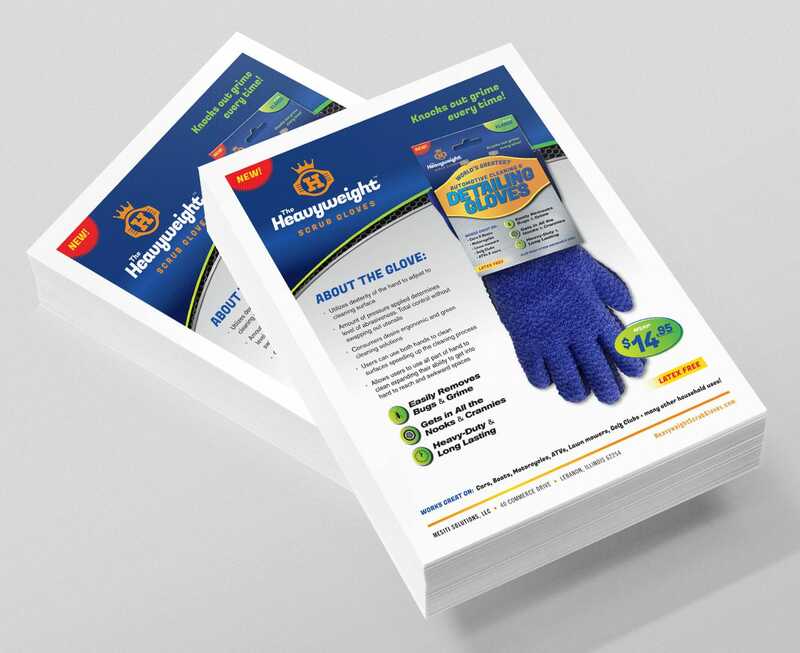 We typically do not work with pre-designed themes, but since they were such good clients, we assisted them with the website. We also helped activate WooCommerce, implement their payment gateway, and install their SSL certificate to make it an e-commerce website. 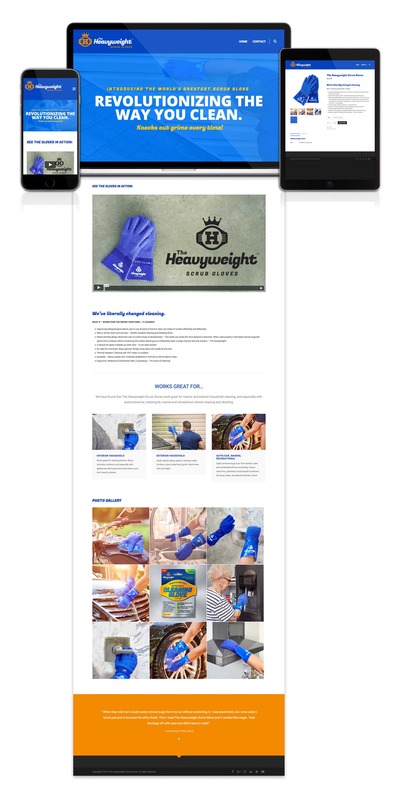 You can visit the new website at hwscrubgloves.com.